It is difficult to imagine a life without social media. Similarly, a business without social media, a big NO! In this world of Social Media Marketing, a business spends a lot of time thinking about how can they use social media to attract customers and increase their fan following. Social Media not only helps business or organizations attract customers but also to connect with the potential candidates essential to the company. Social media has transformed the way people work, communicate and even, search the potential candidate for the organization. Gone are the days of ‘hard to find’ talent. Now, social media has made it possible to contact potential candidates directly. Posting job opportunities on social media platforms is less expensive than the use of specialized publications and paid websites. Traditional resumes are almost on the verge of extinction. LinkedIn, Facebook, Twitter and Google+ profiles are the new resumes to be evaluated. The key to using social media effectively is to identify and reach out to the target audience and yes, being an active user too. Below, we will explore seven reasons why recruiters and hiring managers should make social media as a necessary recruitment tool. Social media recruitment has many benefits. The first most obvious benefit is that it saves your time. A human resource expert needs weeks to conclude all the interviews, test the candidates, and determine the best ones. Social media proves to be a time saver. Social networks streamline the recruitment process and decrease its duration time. How do you allocate the budget to make new hires? This may include hiring recruitment agencies, job boards or referrals, etc. Through social media, employers can reach out to candidates at a lower cost. 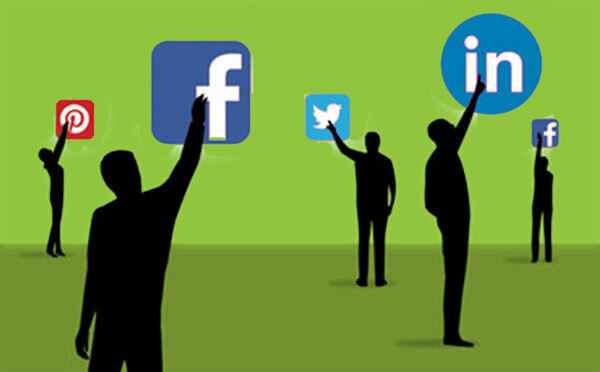 Depending on your needs, social media offers many cost-effective opportunities to hire talent. The whole process of recruitment usually takes three to four weeks right from setting up the requirement till on boarding. Social media tools help you to reach out to desired candidates much faster and engage with potential candidates. Recruiting through social media enables companies and job seekers to build their own communities or forums. Organize your community into relevant groups (accounting, IT, sales, etc.) so that you can send more relevant and targeted information and updates. Give people a way to join your community, engage with them once they are in, and then go back and match people with your new positions. Interacting with potential candidates is a great way to engage them with your company. If a candidate tweets about something relevant to your company or the industry you work in, make sure you mark it favorite or comment on the post. Engaging with potential candidates establishes a leading-edge image for the employer brand. I know it is difficult to get a quality hire. Social media is helpful in solving this difficulty. Social media not only allows you to view the information about a candidate's experience and skills, but a better behold into their lifestyle and values. It tends to bring forth certain traits and personalities of a candidate, which may not be reflected in their resume. No doubt, social media is a two-way street. You are looking for excellent employees, and employees are looking for a great place to work. Make sure your company’s Facebook, LinkedIn and Twitter pages are current and relevant and provide job seekers with a clear view of your company. Most of the time prospective employees decide whether to apply for a position considering the company’s online reputation. Using Social Media with recruitment is a great formula. Applicants’ quality from social media tends to be higher and genuine too. We at Interview Mocha, an online assessment software company have observed these benefits of social media recruiting. So if you have not yet included social media as a tool in your recruitment process, you should do it right away. Social media is convenient but should never be considered an alternate to physical interview because human interactions are irreplaceable. Social media recruiting is all about creating a social relationship with the people you want to hire in the long run.